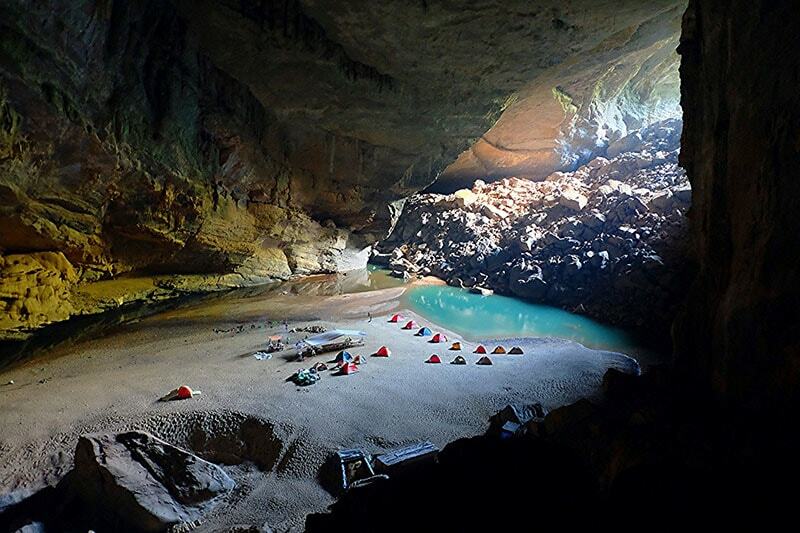 Paradise Cave (Thien Duong cave), a miracle in the heart of the World Heritage Site – Phong Nha Ke Bang National Park. 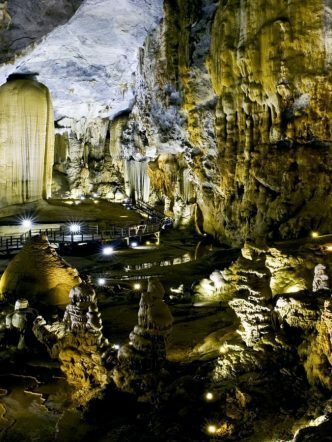 Paradise cave is considered the largest and longest caves in Phong Nha-Ke Bang, also labeled the world’s most beautiful and magnificent cave when it was discovered in the central province of Quang Binh in 2005, the cave was formed around 300-400 million years ago, surrounded by underground streams and rocky mountains. 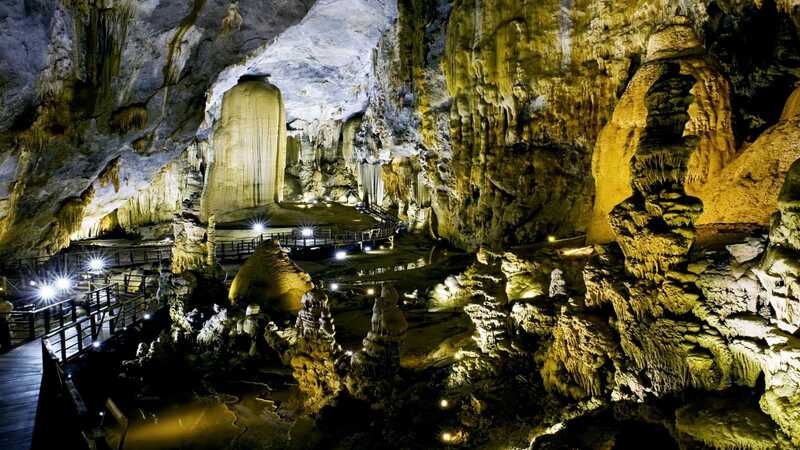 Let’s explore the magnificent and massive grotto and caves of Heaven in this day tour from Hue. 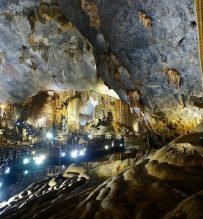 This day tour of Paridise Cave (Thien Duong cave) could depart from Hue city or Dong Hoi city. We pick you up at your hotel if you are staying in these cities. 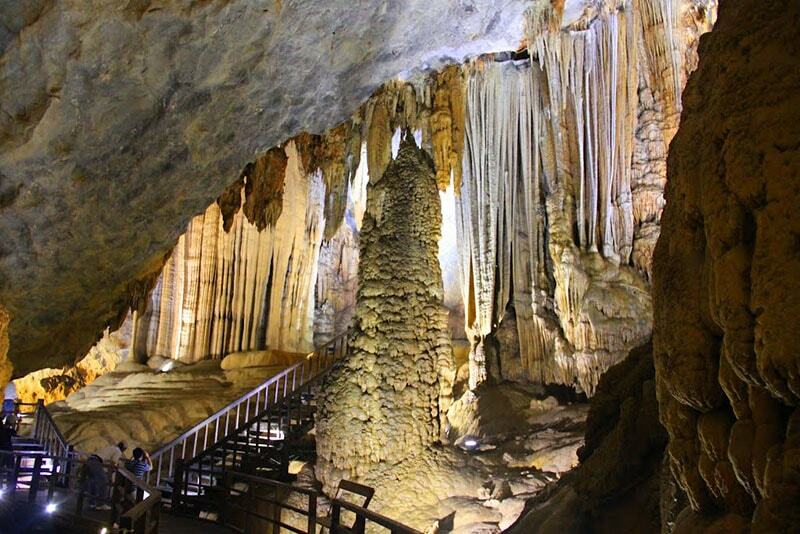 7.00AM Pick up from your hotel in Hue and depart for Phong Nha National Park (Quang Binh). 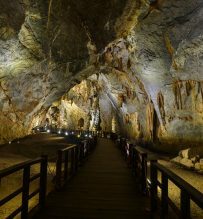 On the way (if time permits), stop for sightseeing the Basilica of Our Lady of La Vang – a catholic church formerly built in the forest near Quang Tri up from the old DMZ, later, several buildings of La Vang were rebuilt and destroyed during the war. 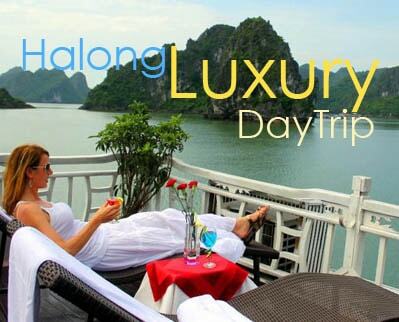 Have lunch in Dong Hoi city. 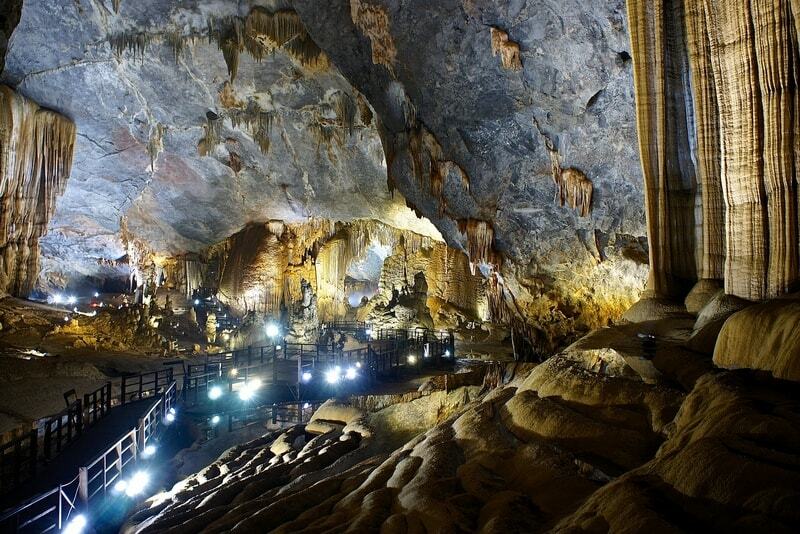 Afternoon continue to Paradise Cave and begin to explore the glamour of Asia’s longest and largest dry cave. 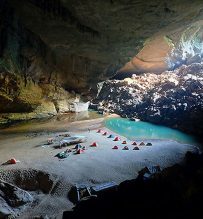 You travel on a buggy pass through dense forest for about 2km, then climb about 500 rocky steps, and you’re in.. Paradise. 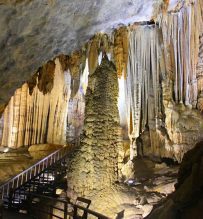 Begin your journey to explore the magical Heaven – the Eden on earth with special stalagmites, stalactites system with sparkling, mysterious beauty, out of human beings imagination. 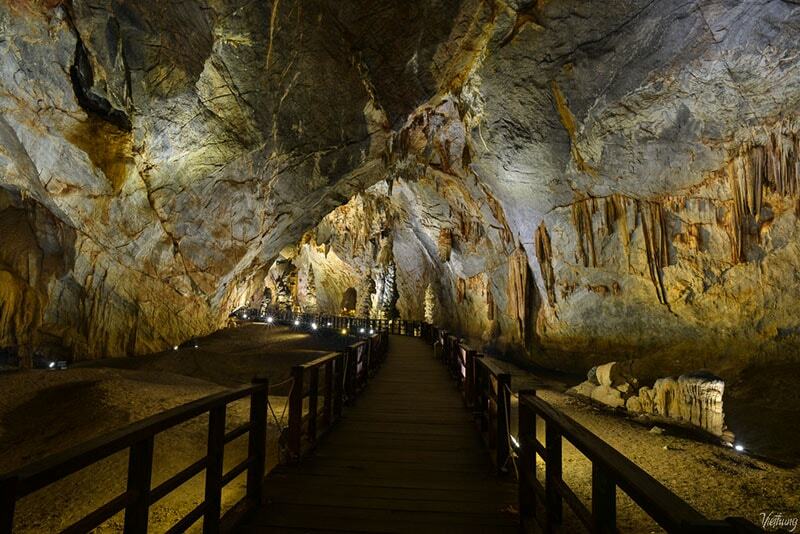 Return to Hue, on the way (if time permits) stop to visit Hien Luong Bridge and Ben Hai River which became an important landmark in division of the country into north and south zone along the 17th parallel during the American war. End this tour at your hotel in Hue around 8.00PM.